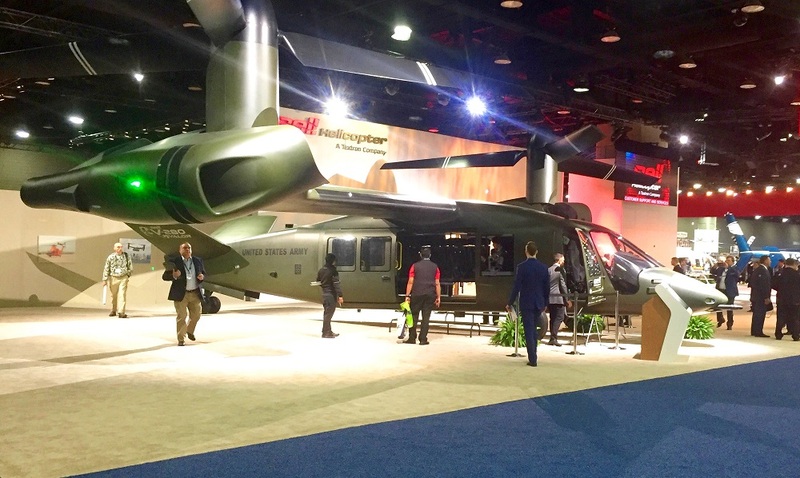 Bell Helicopter engineers are looking at ways to reduce the radar signature of their new, next-generation V-280 Valor tiltrotor aircraft slated to be operational by the 2030s. While developers stop short of calling the new project a “stealth” helicopter, they do acknowledge they are engineering “stealthy” characteristics — such as infrared heat suppressing systems and various fuselage contour constructions. “We will definitely employ some passive measures in terms of how we shape the aircraft, to make it invisible. The key is not to be able to target it and reduce the signature passively so radar sweeps do not see anything. In the end, you do not want to get detected or engaged,” Vince Tobin, vice president of advanced tiltrotor systems, Bell Helicopter, told Scout Warrior. While many of the specifics regarding stealth technology are not available, there are a few broad parameters followed closely by developers of low-observability aircraft. They include reducing the heat signature coming from engines or exhaust along with shaping the exterior of the aircraft to be less detectable to “pings,” or return signals, to radar. Radar sends electromagnetic signals traveling at the speed of light, bounces them off of an object, and analyzes the return signal to determine the shape, size and speed of a target. For this reason, electronic “jamming” is another tactic used to thwart or throw off radar systems. Recognizing the importance of lowering the helicopters heat signature, Tobin explained that Bell is now investigating cutting-edge engine technologies specifically designed to reduce the heat they emit. “We are looking for opportunities to reduce that heat signature. A lot of new technologies that the engine companies are looking for include seeking the best ways to ensure maximum performance of the engine while using an IR suppressor,” Tobin explained. A key strategy, Tobin explained, is to use IR suppressors to reduce the signature so that less “jamming” is needed to confuse radar. 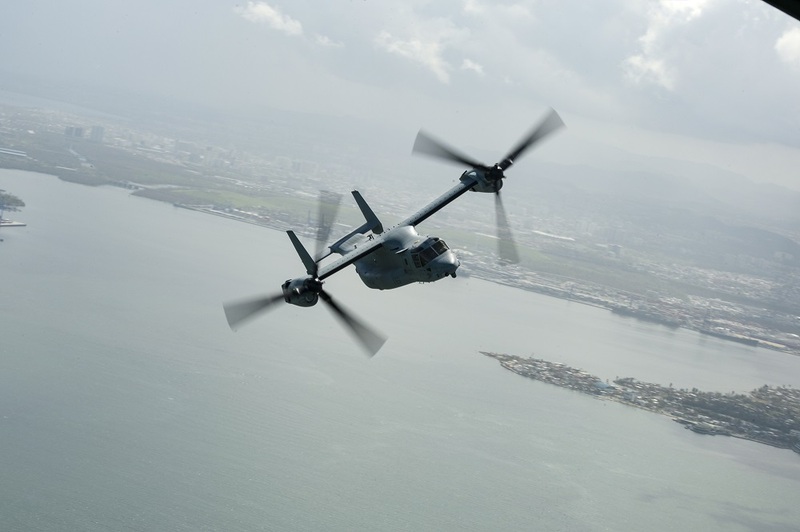 Bell intends to build upon existing tiltrotor technology currently in operation in the Bell-Boeing V-22 Osprey aircraft. The Osprey continues to perform well in a wide range of missions and has recently been selected by the Navy to perform the “Carrier On-board Delivery” or COD mission transporting troops, equipment and weapons on-and-off surface ships. Bell is taking its historical V-22 aircraft and applying them to this next-generation tiltrotor, yet it uses a straight wing unlike a V-22 which is not straight. Bell is also building additional flapping into the rotor system and individual controls that should allow for increased low-speed maneuverability. Depending upon the ultimate requirement established by the Army and the Pentagon, Bell expects to engineer an attack variant of the aircraft with a slightly different fuselage configuration. “An armed attack version will have a gun, 2.75-inch folding-fin rockets and some type of point-to-point missile — Hellfire or some later generation missile that would guide off of a laser or IR. We are being open ended in that we are not designing any specific requirement,” Tobin explained. 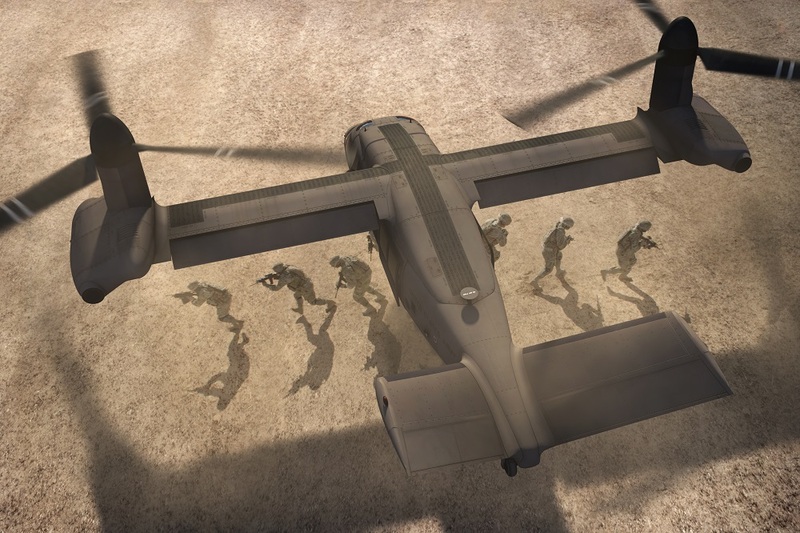 The V-280 Valor next-generation tiltrotor aircraft for the 2030s includes the integration of a high-tech 360-degree sensor suite quite similar to the one used on the F-35 Joint Strike Fighter, called a Distributed Aperture System, or DAS. “Instead of having sensors mounted to the turret, you have sensors that are mounted to the aircraft — so essentially you have sensors staring in 360-degrees around the aircraft at any given time. Those images are stitched together so it appears as one continuous image to the pilot. Both pilots can make use of the same system,” Tobin said. This technology will allow troops riding in the back of the aircraft to wear goggles or a helmet giving them a view of the surrounding sensor feeds as they transit to a mission. The Northrop Grumman-built DAS system will also form the basis of a small-arms fire detection technology which will search for and locate the signature of incoming attacks. 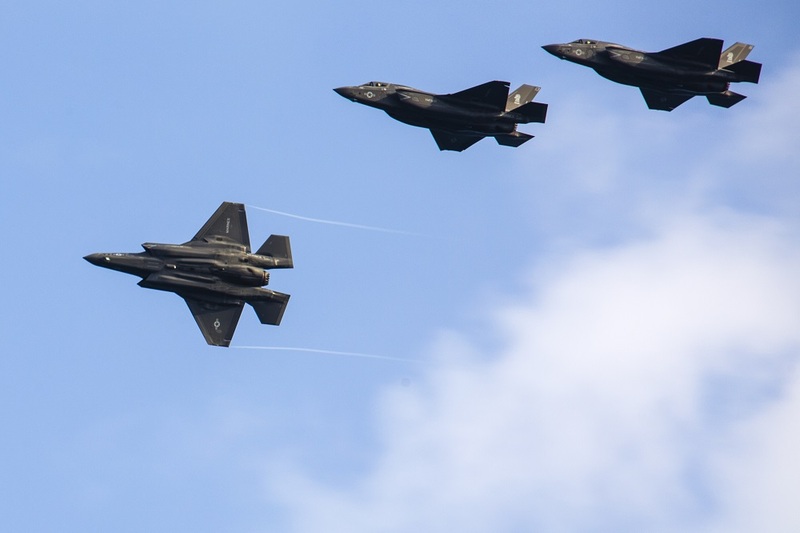 The sensors will be able to discern the location and heat signature coming from small arms fire, giving the aircraft and opportunity to quickly return fire with its weapons — lowering risk of injury to the pilots, crew and passengers. The new Bell tiltrotor, called the V-280 Valor, is part of the Army’s Joint Multi-Role Technology Demonstrator program aimed at establishing requirements and paving the way toward a new Future Vertical Lift aircraft designed to meet a wide range of new requirements. The concept behind the Army’s joint Future Vertical Lift program is to engineer a forward-looking, future aircraft able to reach airplane speeds and yet retain an ability to hover and maneuver like a helicopter. “The aircraft will have an ability to come to a hover in challenging conditions and then, while at a hover, operate at low speeds with maneuvering capability to roll and yaw. We want it to have the handling perspective to make the aircraft able to do what it is able to do,” Tobin added. The V-280 Valor will also have yet-to-be-determined Degraded Visual Environment technology that allows sensors to see through obscurants such as brown-out conditions, bad weather and other impediments to navigation. Part of this will include a system called Controlled Flight into Terrain wherein an aircraft has an ability to quickly re-route itself it is approaching a dangerous obstacle such as a mountain, rock wall or building structure. The new attack variant is expected to use a modernized or next-generation of existing Apache sensors and targeting systems called the Modernized Target Acquisition Designation Sight/Pilot Night Vision Sensor, or MTADS/PVS. When it comes to sensors and mission equipment, Bell engineers are building a tiltrotor aircraft with what is called “open architecture,” meaning software and hardware able to quickly integrate new technologies as they emerge. The concept is to construct a helicopter that is not intended to operate today but rather advance technology well into the 2030s and beyond. Therefore, it will need to anticipate the weapons, sensors, computer processors and avionics likely to emerge by the 2030s. This will likely draw upon a semi-autonomous navigation technology built into the aircraft known as “fly-by-wire.” Bell Helicopter developed the initial algorithms for this technology, which is now on the V-22 Osprey. Another survivability technology potentially slated for the aircraft is a system known as Common Infrared Countermeasure, or CIRCM; CIRCM is a lighter weight variant of an existing technology which uses a laser-jammer to throw incoming missiles off course — therefore protecting the aircraft. “We are looking to the DoD customer to see what they want. Either way we can get that on the airplane,” Tobin explained. Bell helicopter has now attached the wing to the fuselage of the new tiltrotor aircraft engineered to reach speeds of 280 knots, fly for 800 kilometers on one tank of fuel, hover and maneuver in “high-hot” conditions and function as both a utility and attack helicopter platform. The intention is to build an advanced, high-tech tiltrotor demonstrator aircraft to take flight in November of 2017 as part of an effort to ultimate build a future aircraft able to begin operations in the 2030s. “There is one long wing. We attach the middle of the wing to the fuselage – the entire wing is one piece bolted to the fuselage of the airplane. One wing covers both sides. The wing is attached with aircraft grade structural fasteners. There are enough aircraft fasteners to provide sufficient strength to hold the aircraft together,” Tobin said. As of January earlier this year, Bell engineers were 81-percent complete with the aircraft; the wing is attached and the wiring is put in, Tobin said. In the next few months, Bell engineers will begin installation of the gear boxes and the fuel tanks. Ground vibration testing is also part of the development of the helicopter, to be followed by scale-model wind-tunnel data. In addition, the future aircraft is intended to be able to use fuel-efficient engine technology to allow an aircraft to travel at least 800 kilometers on a single tank of fuel. Such an ability will enable the aircraft to operate more easily one a single mission without needing Forward Arming and Refueling Points, or FARPs. The idea is to engineer and aircraft able to fly from the West Coast to Hawaii without needing to refuel. Requirements for the program are still being refined for the Army-led program, which is aimed at future aircraft for all four services. These requirements, now being put into actual demonstrator aircraft built by both Bell and a Boeing-Sikorsky industry teams, include building an aircraft able to reach speeds greater than 230 knots, hover in thin air at 6,000-feet and 95-degrees Fahrenheit, achieve a combat radius of at least 434 kilometers and be configured to include emerging sensors and mission equipment technologies.